The vast majority of health care providers are required to have a National Provider Identifier (NPI) – a unique identifying number. 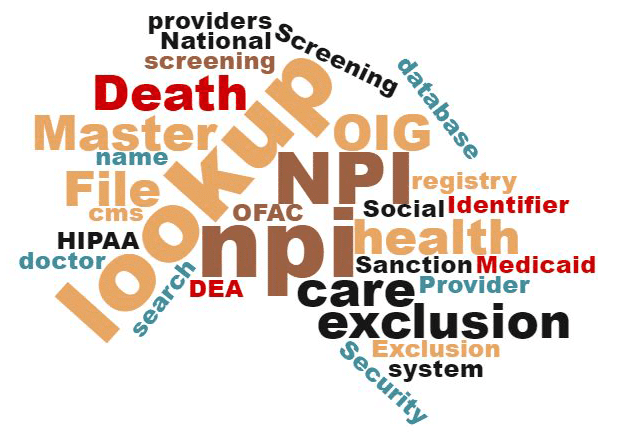 The NPI registry – also known as the NPI doctor lookup or NPI CMS lookup – has become the primary way in which the health care system identifies health care providers. The NPI is a 10-digit number that uniquely identifies a health care provider, without disclosing any other information about them (such as where they practice or have a license). The NPI serves as a provider’s digital fingerprint, a way to identify them in any transaction, such as a claim. According to the NPI final rule published by CMS in January 2004, any health care provider that is a HIPAA-covered entity (that is, any provider who conducts transactions or sends information electronically) must have an NPI. Both individual and organizational health care providers will need to get an NPI. Some organizations serve the health care industry but are not considered health care providers, and are not eligible for an NPI. For example, non-emergency medical transportation companies are not considered health care providers, and are therefore not eligible for an NPI. Most health care providers have an NPI, and it is used for more than just electronic transactions: it has become one of the main ways for providers to identify themselves. It is required in order to become a Medicaid or Medicare provider, or a network provider for a health plan. The Streamline Verify exclusion software comprehensively searches all available databases, screening for potential matches. It additionally offers multiple automated features that help expedite the resolution process at the click of a button. But what happens when the databases don’t offer the ability to automatically resolve potential matches? Use the NPI number to look up the provider’s license record in the state of issuance database. Get the license date of issuance from the record. Compare the date of issuance to the DOB of the employee of record. Often, the comparison will show that the applicant was too young at the time of license issuance to have obtained the license. As a unique identifying number for providers, the NPI offers organizations another tool to verify potential exclusion matches so organizations can continue to streamline the resolution process and remain compliant to help ensure the integrity of their healthcare workforce.